After shifting to Kolkata, government employee Soham Ghosh took on rent an apartment owned by his maternal uncle. Being a salaried person, he claimed HRA (House Rent Allowance) tax benefit under Section 10 (13A), as he was paying rent for a residential accommodation that he does not own. This looks like a perfect scenario, but then why is it that Soham, on one fine morning, received a letter from the Income Tax Department asking for an explanation related to the rent paid by him for the accommodation he is occupying? To avail income tax benefits for paying house rent, you must have a registered agreement with the person owning the residential property. It is also necessary to take regular rent receipts for the rent you are paying. You will need these documents if your case falls under scrutiny at the time of assessment. The law does not restrict you from paying the house rent by cash. But to add credibility, always choose banking channels like cheque or NEFT while making the transaction. If you pay house rents by cash, you might have to prove the corresponding cash withdrawals to satisfy the tax assessing officer. You can claim income tax benefits for the house rent you pay, but the rent paid by you to a relative, adds to their income, which is taxable. You must ensure in your own interest that the rent you pay reflects in the income tax return of the recipient. It is not necessary for the recipient to file an income tax return if the total income (including the rent) does not surpass the taxable limit. However, to put your rent transactions on record, recommend the recipient to declare the income and file a tax return for the same. The Income Tax Act allows you to claim simultaneous tax benefits with regard to HRA and home loan. However, you cannot claim home loan and HRA benefits for the same property. Moreover, you cannot claim home loan benefits as well as HRA benefits for properties in the same neighbourhood, as it does not make sense to pay rent for a house while owning another in the same locality. If you are paying rent for a property, not to stay in it, but to use the address for different communications, then you will not only be under the scanner of tax authorities, but you will also land yourself in various legal hassles. Here, communication refers to using the address for bank accounts, Demat accounts, voter ID, ration card, Aadhar card, etc. 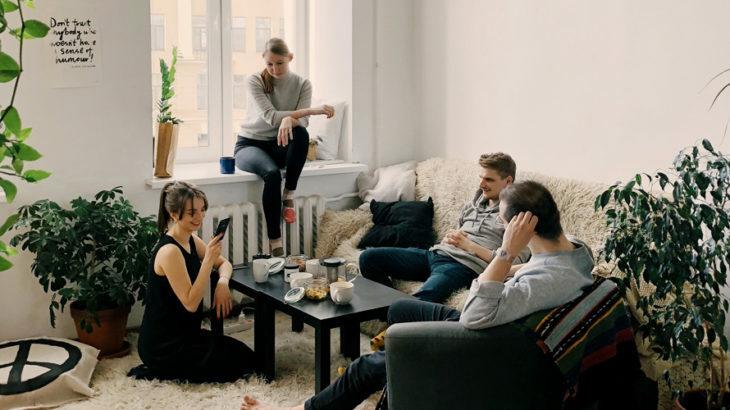 If you are staying in one place, but your communication address leads to a property for which you are paying rent to a relative, then consider making changes to avoid litigation. Any individual paying house rent, worth more than Rs 50,000 per month, has to deduct tax at the source. The government, in Budget 2017, introduced section 194IB in the Income Tax Act, which directs a tenant to deduct tax at the rate of 5% over and above rental payments of Rs.50, 000 per month, and deposit it to the credit of the central government within the prescribed time. Keep this in mind even if you pay rent to a close relative. If you are paying rent to a close relative for your accommodation, keeping in mind the above-mentioned requisites will help you to steer clear of litigation. Our pleasure. Thanks for writing back.